It's one of my goals in life to figure out which foods can be wrapped in foil and cooked on the grill successfully. We've cooked potatoes, asparagus, squash, zucchini, onions, corn-on-the-cob and broccoli using this method. They've all been excellent. I love the convenience of preparing the entire meal on the grill. That puts the work on my husband so that I can sit back and relax. Clever, I know. 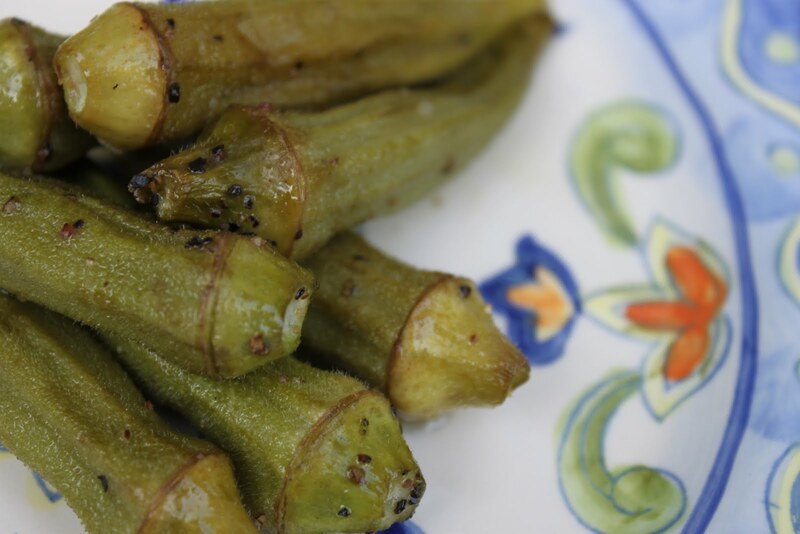 So, I decided to try one of this area's favorite veggies - okra - to see if it would hold up to roasting on the grill. This okra did not disappoint! I bought a small package of fresh okra from the produce section. I rinsed them before seasoning. I prepared a large piece of heavy-duty foil with cooking spray, drizzled the okra with olive oil, and seasoned with kosher salt and black pepper. I closed up the foil package and cooked on the grill for about 20 minutes on medium-low heat. Start checking for doneness at the 15 minute mark. 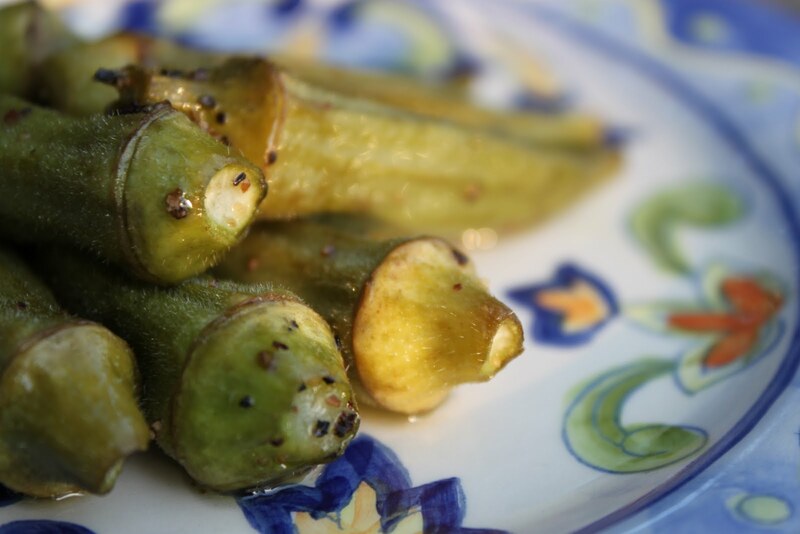 You don't want the okra to overcook and burst. These were divine! 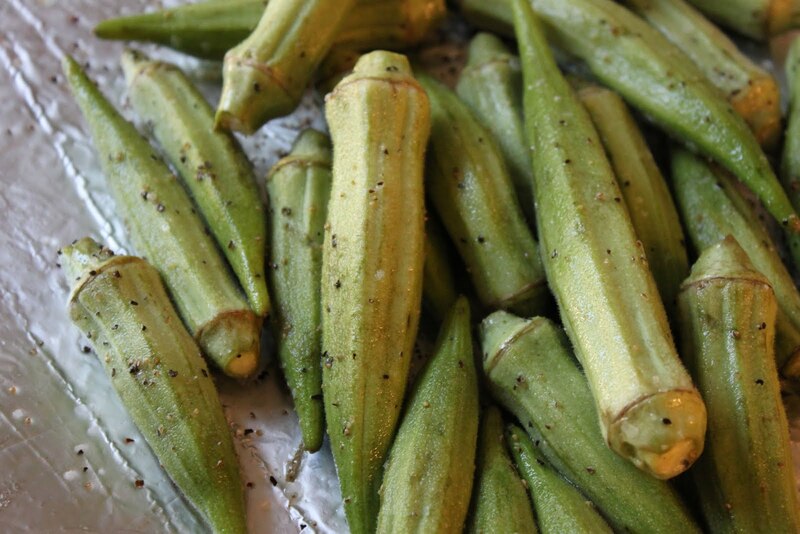 My husband wondered where they had been all this time and was saddened that we had just discovered this method of cooking okra at this point in our lives. Apparently, we've got a lot of catching up to do. Do you see the little caps on the end there? We don't eat those. They can be a little tough. I'm sure there are some folks out there who eat the whole thing - to each his own. I don't judge. But the rest of the okra is sweet and salty and delicious! This looks FANTASTIC!! I'm gonna try this for sure!! 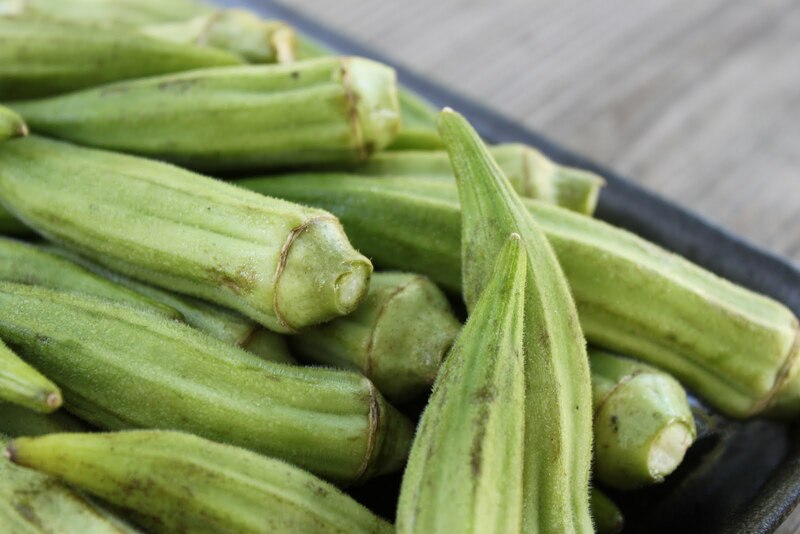 When I think of okra, I think deep fried. LOL! It's nice to see a healthier way to prepare it. Thank You for the insight on grilling orka. I like grilled okra, too. I blogged about it tonight--I put mine on skewers and place directly on the grill. YUM!